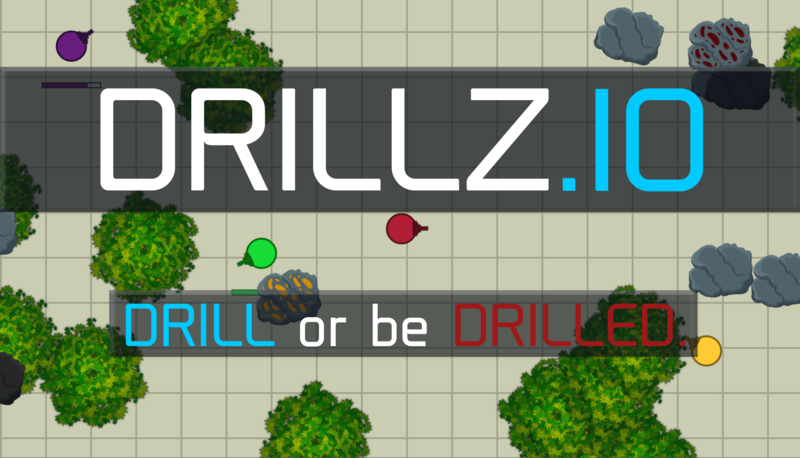 DRILLZ.IO | Play DRILLZ.IO free on iogames.space! Drillz.io is a game where you play as a drill, and mine away at the various resources and ores scattered around the world. The Objective is to upgrade your drill to the most valuable/rare resource: Amethyst, and do so without getting killed by other players on your journey. You can also build bases with the various blocks in the game! To Play, simply use LEFT CLICK to activate your drill. You can use your drill to mine resources, attack other players, and to destroy blocks. You can also press TAB to view your inventory. To move around, simply use the W, A, S, and D keys on your keyboard. UPGRADE YOUR DRILL AS MUCH AS YOU CAN. Upgrading your drill makes you WAY more powerful than other players with worse drills. It increases your player size, and makes you do MUCH more damage. Try to avoid players in the early-game so that you can mine up your resources/upgrade your drill enough to protect yourself. Then go on a killing spree once you are powerful enough to increase your score! !